Most of us eat pretty much the same way every day — same foods, same amounts, same timing. 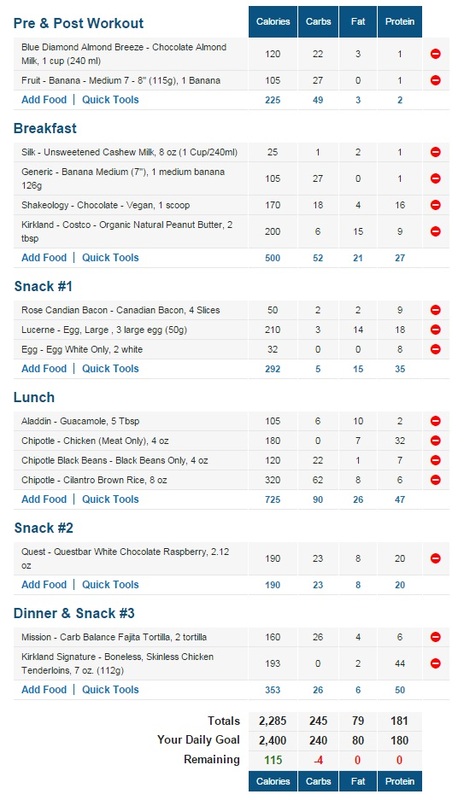 Other than recovery shakes and cheat meals here and there, it would be hard to distinguish one day from another in terms of macros and calories, right? 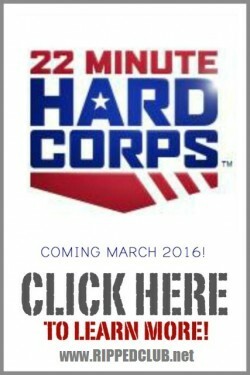 Each one of us has training days that require a lot more umph from us than other training days. If you never vary your daily calories or macros, you end up overfeeding yourself on the days you’re either resting or training light, and maybe not eating enough on the days you train the hardest. 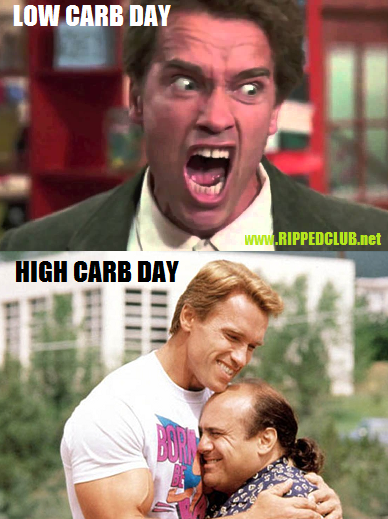 Carb cycling (when you do it right of course), gives you the best of both worlds without any disadvantages that I can find… You fuel your body on the stupid crazy training days that leave you feeling like gumby, and then eat as if you’re in a cutting phase on the days you don’t need all that extra energy from carb sources. 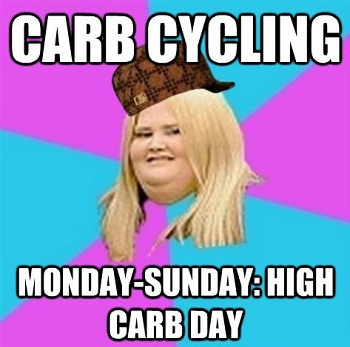 On a “high carb day”, in which you’re stuffing your face with all the carbs you can fit – you’re refilling your glycogen stores, which promotes insulin release, which creates an anabolic environment perfect for all dem gains you couldn’t get in your spin class. For me personally, I put my high carb days on the workouts that focus on the body parts I want to grow the most. Right now, thats Body Beast workouts that focus on chest, triceps, back, biceps, and shoulders. My legs are pretty big and can gain size quickly, so I dont lift heavy with legs or else I’ll have to spend a $1000 on new slacks for work! 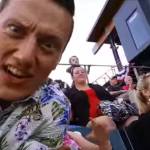 Kim Kardashian would be jealous! On “no carb” or “low carb” days – these are ideal for the days you do cardio only, or you have a rest day. Your body has low insulin levels and will be primed for burning fat. With less carbs, you’ll also be increasing your fat intake, which benefits hormone production and helps keep your body sensitive to insulin on the moderate and high days. On “moderate carb” days – these help you to maintain your glycogen levels with fewer total calories. You’ll have enough carbs to fuel your workout and prevent tissue breakdown, but not enough to be highly anabolic. 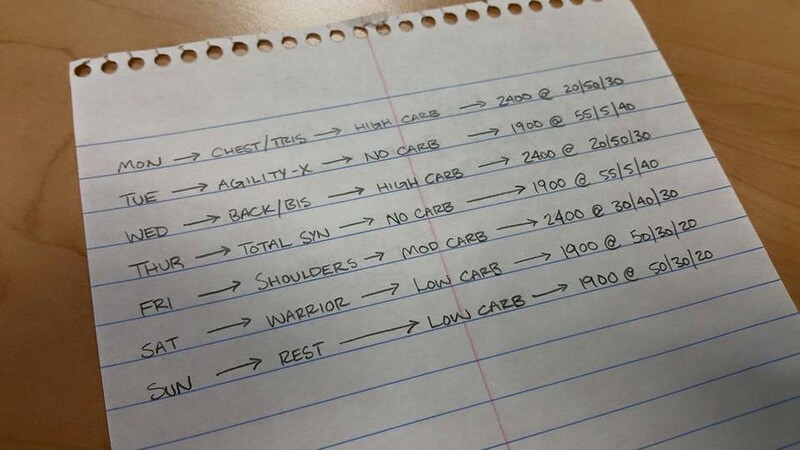 For most people doing carb cycling, they are wanting to lose fat and in order to do so you have to be operating at a calorie deficit…Here are a few carb cycling guidelines for macros that I follow. 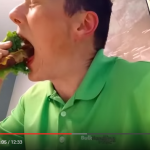 So why did I choose different calorie intakes on different days? 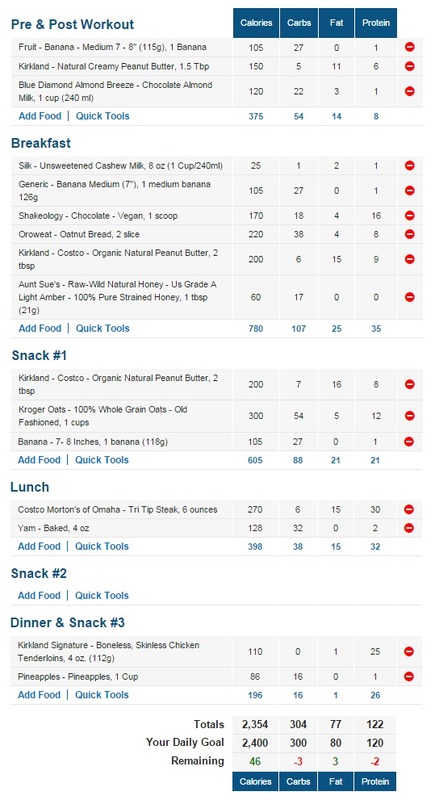 This was actually a little experiment that I wanted to try out and see how carb cycling/calorie cycling would fit together. 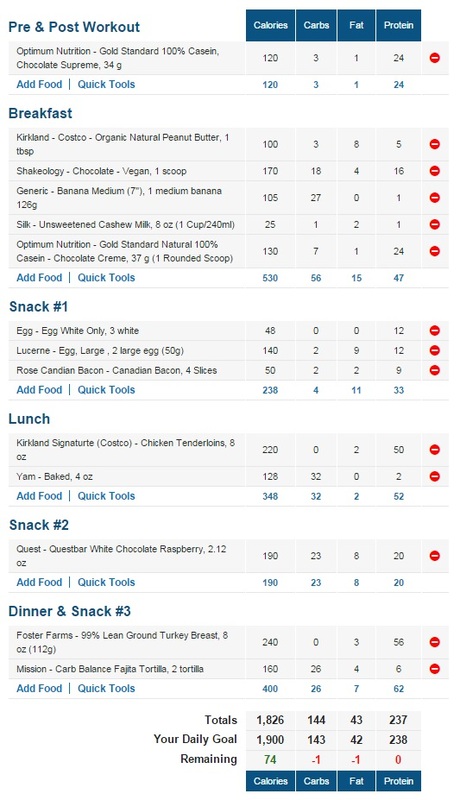 My goal is to lose as much fat as possible while retaining muscle mass and in order to do this I wanted to have a few days where I elevated my calorie intake while staying at a calorie deficit. My maintenance intake is around 2700-2800, so 2400 was a good place to start on the high end. On the low end with 1900, that was a number that I arrived at back when I had my original P90X transformation when I lost 60lbs. 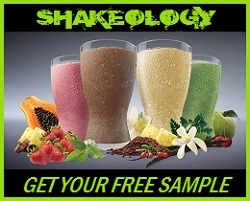 I have a ton of team members that have had success using My 1900 Calorie Diet. 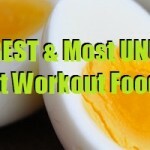 In addition, the elevated carb intake in tandem with the elevated calorie intake gives a greater insulin release for the optimal anabolic environment you’re looking for when wanting to gain muscle mass. 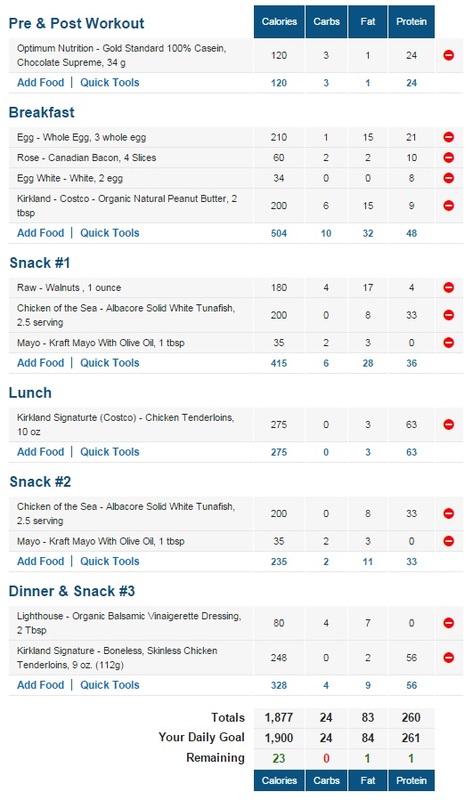 People have already been asking me about my carb cycling meal plan and wanted to see specifics, so what I have done is created a few screen shots of my MyFitnessPal food diary below on all four carb intake days (high carb, no carb, moderate carb, and low carb). Now you dont have to have 4 different type of carb intakes like I do. 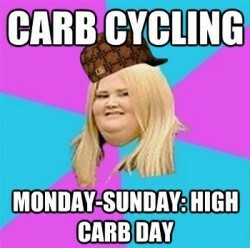 Some people just have a high carb and low carb day. I wanted to maximize fat loss during this 90 day experiment so I went with a couple no carb days and a couple low carb days. Generally its a good rule of thumb, that if you are looking to lose fat, then you want to stick with around 2 high carb days per week. If you aren’t so concerned with losing fat, then you can bump that up to 3 or 4. 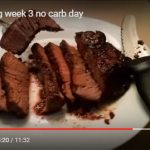 You can do no carb days, but for some its really difficult to get in that much protein and that much fats, so if thats the case, you might think about just doing a more traditional fat shredder diet – low carb day instead. The BEST thing you can do is just get started. The key to having success is by tracking your results and adjusting as needed. If your just doing high-carb/low-carb and not seeing the results you want…try switching out a low carb day for a no-carb day to mix things up. You’ll find what works eventually. Stay off the scale except for maybe once a week. If you want to measure your body fat each week as a marker of progress, thats cool. I personally like to judge my progress by visual changes when carb cycling. 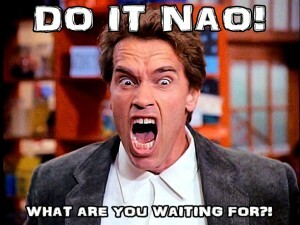 I hope this post on Carb Cycling helped you out. If it did, be sure to like & share, cuz it helps get this info into the hands of others who are lookin for the same type of info! Coach Todd, can this same principle be applied to P90X3 as well? I'm looking to lose about 100 lbs. at age 42, 6'1"